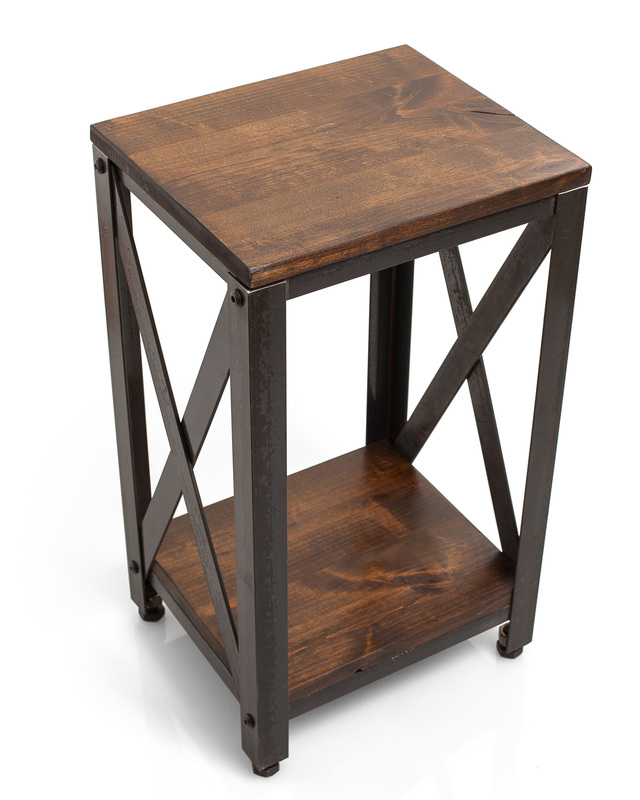 This stylish end table brings a rustic, industrial vibe to any living space. 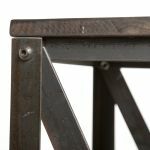 Crafted with wood and metal materials this end table features an ‘X’ design on either side reminiscent of farmhouse style. 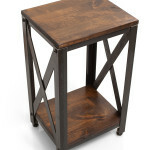 Place your favorite reading lamp on the top and store books and other knick knacks on the bottom.